Our resort is under new management by the Italian Family Losso. We are speaking English, Italian, German and Thai. 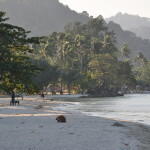 The island of Koh Chang has only been developed for tourism in the last 20 years. It used to be a restricted area of the Military before. 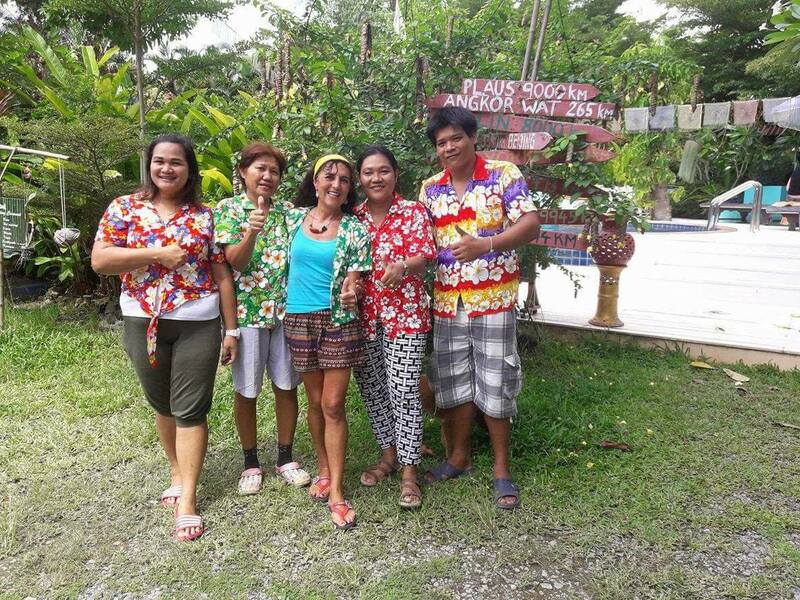 Koh Chang lies about 400 kilometers south of Bangkok and can be reached in 5 to 7 hours with the Minibus.There is also a small airport in Trat. With its length of 60 kilometres and width of 4 to 5 kilometres, Koh Chang is the second biggest island in Thailand after Phuket. Only the small coastline of Koh Chang is developed, the rest of the island consists of jungle. In the towns Klong Son, White Sand, Chai Chett, Klong Prao, Kai Bea, Bai Lan and Bang Bao at the west coast, live only 5000 permanent residents. The east coast is still mostly uninhabited. Only a few hundred fisherman and farmers live there and provide the island with fresh fish, fruit and vegetables. Not just the island but also the sea and the hundreds of little islands around it are under nature protection. Holidaymakers can still relax on lonely beaches, enjoy the wonderful National Park and get to know Thailand as it used to be. Koh Chang provides all the infrastructure, shops, restaurants, banks, hospitals, pharmacies, massage salons and much more. 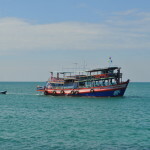 The island is easy to reach with 2 ferries that run every day on a regular basis. There are open Taxis available that get you from town to town at low prices too.